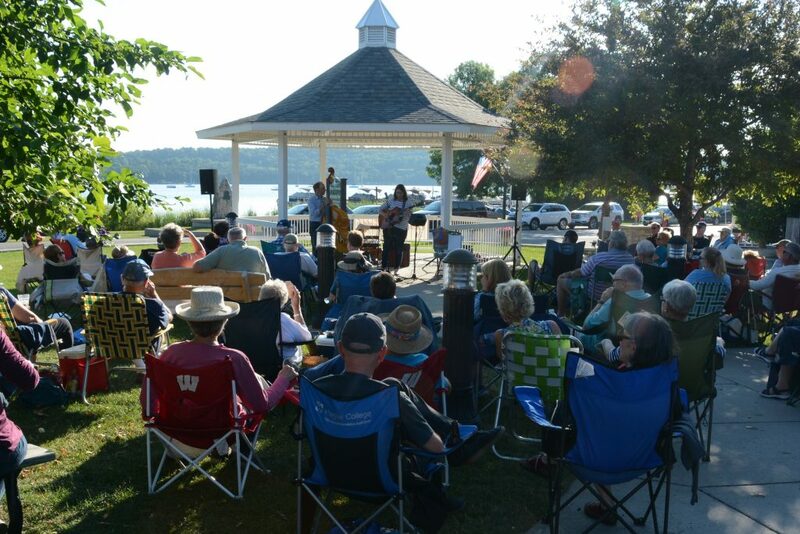 Join us every Monday at the gazebo in Harborside Park from 6-8pm to celebrate local musicians. 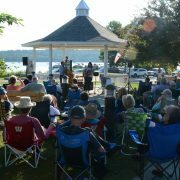 Relax and enjoy the music with friends and family while enjoying the beauty of Ephraim. Bring a chair or blanket and stay for the sunset! Location: Harborside Park – 9986 Water Street (Highway 42). Please bring a chair or blanket and make yourself comfortable on the grass! Rain Location: All concerts but June 17 – Ephraim Village Hall, 9996 Water Street (Highway 42) Chairs provided. June 17 – Ephraim Moravian Church, 9970 Moravia Street. Counter spent 16 years in Nashville singing sessions, writing songs, and performing live shows at clubs like the famous Bluebird Cafe. Jim’s first record album “City Mind, Country Heart” includes two songs written by the one and only Garth Brooks, entitled “Everyday It’s Getting Harder To Keep Your Memory Alive” and “Walk Outside The Lines”. Counter sang the National Anthem for the Green Bay Packers, and the Chicago Cubs. He performs all across WI and the U.P. of MI. An acoustic band of Door County based musicians performing bluegrass, folk, and other cool stuff. Singer-songwriter Katie Dahl is a Door County favorite who performs her smart, original folk music across the country. She is joined by upright bassist Rich Higdon. Members of Mighty Mouth have toured about, recorded with blues legend, had a song in a Bollywood movie, and played Lambeau Field. Small Forest is Jeanne Kuhns and Marybeth Mattson. Lush vocals, harmonies, thumping bass, djembe, and rhythm guitars, defines Small Forest original progressive folk performed with passion and exuberance! The father/son duo perform original acoustic music and familiar covers, with slick guitar leads and wonderful harmonies in Folk-Rock style. A group of seasoned Door County musicians, well versed in a variety of musical genres and styles, are guaranteed to entertain all ages. They draw from six recordings of original material, Murphy and Mates, Pete Evans, Karen and Ken Stillman and John Lewis. This performance will include innovative, improvisational covers of popular traditional bluegrass, blues, swing and folk standards from the 60s and 70s. Cathy Grier singer-songwriter Blues guitarist originally from NYC, now a Door County resident, brings a high energy concert of Blues + Grooves, with her band The Troublemakers. You can’t help but feel her life story with every heartfelt raw performance. Led by bassist Joe Policastro, this Chicago-based alternative jazz trio features guitarist Dave Miller and drummer Mikel Avery. While firmly rooted in jazz, the band’s open-minded, inclusive nature also brings rock, soul, funk, Brazilian, and free jazz to the surface while keeping the aesthetic of an acoustic jazz trio intact. While the Sturgeon Bay based duo’s roots are in an old-time folk sound they have more recently grown into the terra of thoughtful Americana music. The vocal dance of Jess Holland and Nick Hoover is not to be missed. Fronted by dynamic Jazz Vocalist Erin Krebs, the Quartet will showcase Erin’s original music, unique arrangements of classics from Great American Songbook, and soulful Blues songs.